Beautiful 3/2/2 Royal Palm in the Village of Woodbury! See video! Lovely front porch. Spacious foyer, living room & formal dining room w/ vaulted ceiling & wood laminate. Eat-in kitchen - lots of cabinets, pull out drawers, breakfast bar, solar tubes & plantation shutters. Split floorplan. Large master - 2 WALK-IN CLOSETS, dual sink vanity, walk-in shower w/seat, & private water closet. 7 upgraded ceiling fans. Inside laundry - washer/dryer & built-in storage cabinets. Extended depth garage w/ extra shelves. Screened lanai overlooks private back yard. 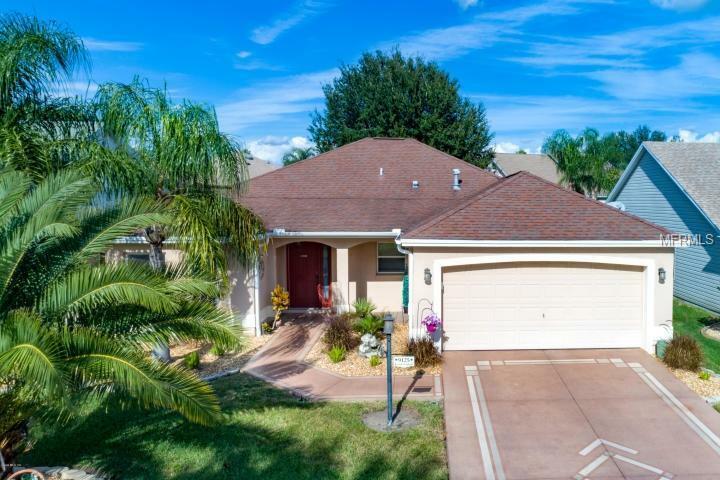 Close to lots of great dining, shopping (Mulberry Grove Shopping/Recreation), medical, entertainment, golfing, pools, dog park, & all the amenities the Villages offers for a low HOA. Includes home warranty. Low bond. Furniture is negotiable.